Formulaic and weekly radio broadcasts often steered away from the established formula – briefly – during the holiday season. When Death Valley Days premiered in the fall of 1930, the majority of radio broadcasts consisted of musical offerings and Christmas Carols that the American public often found on street corners and the local church were now a regular staple on the airwaves. Hoping to provide a light-hearted look of peace and forgiveness through an intrinsic part of the regular broadcast season, Death Valley Days provided some of the more touching reminders that Christmas should be reflected 365 days a week. Because the program was a Western anthology, based on true accounts reported in newspapers and published reference guides, Death Valley Days was unable to reflect current domestic issues with a touch of the festivities. Since most radio programs ultimately accomplished that goal every December, Death Valley Days provided a unique perspective of a nostalgic time gone by… and in one case sprinkled with small opera. Where horror programs provided a more Charles Dickens-style of gothic story telling, and comedic sitcoms provided annual musical tributes, with Grumpy characters displaying a soft-heart, Death Valley Days chose to offer a slice of commercialism in the form of product placement. Of the 714 radio broadcasts under the Death Valley Days name, the official count of radio broadcasts existing in recorded form is six. Two of them were recorded for historical reasons; four exist for varied reasons that remain unknown. The reason why the remaining 708 radio broadcasts do not exist was, according to an inter-office memo with the sponsor, the Pacific Coast Borax Company, and the advertising agency, McCann-Erickson, was a business decision. Executives at PCB saw no financial benefit to recording the broadcasts, beyond production costs, billed monthly. As a result, fans of the program seeking "lost" episodes have a challenge seeking out recordings of the radio broadcasts... they probably do not exist. The service provided by executives at McCann-Erickson was considered a "throw-away" product. After the completion of each broadcast, the scripts were piled in a box near the doorway to the studio and Ruth Woodman, the scriptwriter responsible for the transition of legends and lore of Death Valley to radio, was hard at work on the next production. Radio script of DEATH VALLEY DAYS. 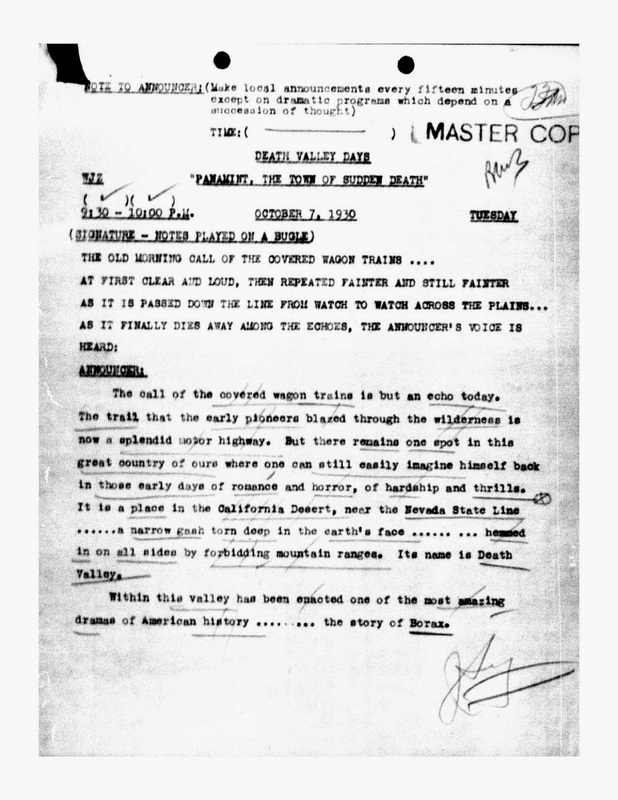 Thankfully, all of the radio scripts exist, providing details for archivists and historians to consult for documentary purposes. And a recent examination of those scripts reveals much more than the entries found in encyclopedias. Cast details now provide exact dates of when each actor played the role of The Old Ranger, the narrator of each broadcast. Missing titles have been filled in from a broadcast log compiled by Ray Stanich in the eighties. Music cues verify what songs The Singing Cowboy offered each week. Verification that the first few months of broadcasts were not adaptations of stories Ruth Woodman gathered out West during her business trips, but of material contained within encyclopedias and reference books about Death Valley. The Furnace Creek Inn was built by the Pacific Coast Borax Company (of the Twenty Mule Team fame) as a means to save their newly built Death Valley Railroad. Mines had closed and shipping transportation was no longer needed, but mining tourist pockets seemed a sure way to keep the narrow-gauge line active. The Borax company realized travelers by train would need a place to stay and wealthy visitors accustomed to comfort would be attracted to a luxury hotel. 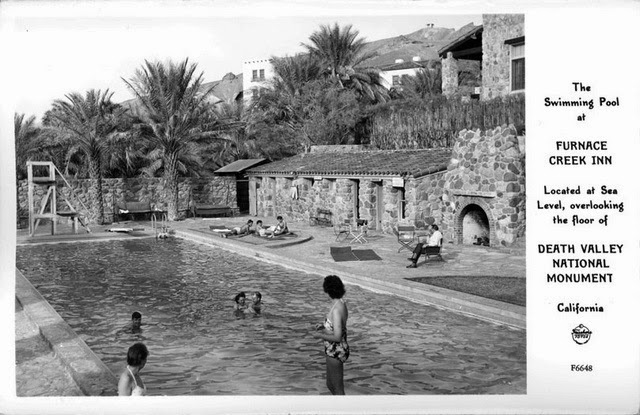 First opened for business in 1927, the Furnace Creek Inn was an immediate success. Unfortunately for the mining company, their railroad closed forever in 1930 when it became apparent tourists preferred the freedom of arriving to Death Valley in their own cars. This was where radio came in. The McCann-Erickson Advertising Agency gained the Pacific Coast Borax Company as a client in 1925, when they began a heavy magazine and newspaper campaign. In the summer of 1930, they encouraged their client to sponsor a radio program, Death Valley Days, and each week the dramas helped promote the strive of human nature amidst the conflict of man, beast and mother nature. 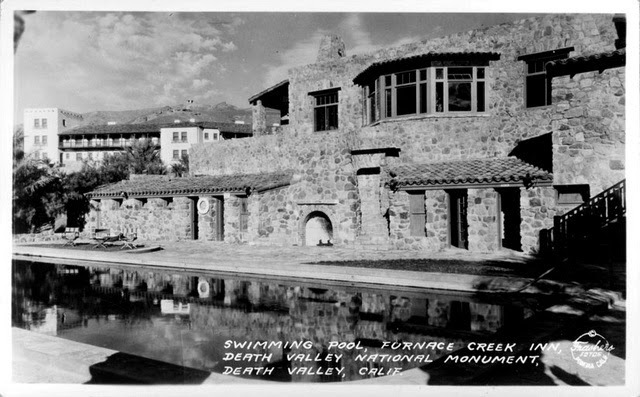 Beginning in late November 1930, each broadcast closed with a mention about the Furnace Creek Inn, and radio listeners could write for a free pamphlet providing all the necessary details to vacation there during the holiday. A story from the pages of O. Henry was recycled for the December 21, 1931 broadcast, titled “Santa Claus Visits Death Valley.” In the mining camp of Yellowhammer, a white man named Cherokee purchases a sealskin coat, a team and a red sleigh, along with hundreds of toys. Having served as the civic father of the town, leaving to strike a vein and return a wealthy man, he returns to Yellowhammer for Christmas in the regalia of a fat man from the North Pole, complete with tinsel and trees… unaware that there are no women or children in town. The youngest kid in Yellowhammer packs a .45 and a safety razor. It didn’t take long for the whole town of Yellowhammer to approve of the scheme of importing a load of kids for Cherokee’s Christmas party. Everybody who knew of families with offspring within a forty-mile radius of the camp, came forward with information. But folks didn’t think kindly to the idea of parting with their children with strangers. The only child they could round up was a ten-year-old spoiled brat named Bobby, armed with a sharp tongue and likes to smoke tobacco. His widowed mother has been too busy putting food on the table to take care of his table manners. Bobby won’t cooperate during the festivities and Santa, a.k.a. Cherokee, arrives to discover his entire Christmas is spoiled for lack of children… until he discovers that Bobby’s mother has a photo of Cherokee in her bedroom. It only takes a couple minutes for Cherokee to realize that regardless of the fact that there are no women or children about… his Christmas is best served with the family he thought he lost – Bobby is his son. Topical subject matter of the times, this episode opens with a man and woman seeking a child for Christmas, local charity organizations, church and an orphan asylum, only to discover that the demand for youngsters at Christmas time was so much greater than the supply. 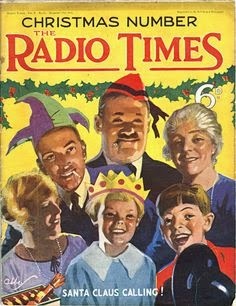 Christmas was acknowledged in “Rates on Request,” broadcast December 21, 1933, but the drama did not take place during the holiday. The December 28 broadcast took place in a snowstorm, but again, did not take place during the holiday season. A seasonal offering was provided on December 20, 1934, “While Rome Burns,” dramatizing the events of December 23, 1923. Preparing for a Christmas party in a Nevada mining camp, the Christmas celebration put on by the church used to be a real community affair and everybody in the camp was invited. It didn’t make any difference who they were. But dance hall girls, tin-horns and bartenders were no longer invited. Late that evening, a fire broke out and several buildings caught flame as a result of the wind. Everything in the business section was wiped out along Main Street. Every store and restaurant and rooming house – and both churches. Everything went up in smoke – Christmas trees, gifts and everything necessary for the festivities. When dance hall girl Goldie discovers that children will go without presents or Santa Claus, she orchestrates a Christmas that the families will never forget. In the surviving church on the hill that night, a great tree glittered. Santa Claus distributed presents to every beaming child. And the prejudice found contentment at the organ as the crowd sang Christmas carols – three religious communities acting as one again. The December 19, 1935 broadcast offered a special “National Park Program,” dramatizing multiple events when people celebrated Christmas in Death Valley. 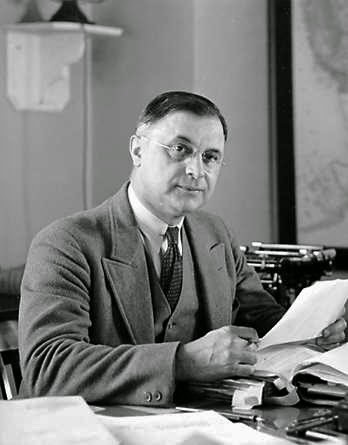 The holiday theme provided a major public service: awareness of the United States National Park Service. Mr. Arno B. Crammerer, director of the U.S. NPS, gave a speech at the conclusion of the program, reminding them that Death Valley was one of the National Park monuments and the National Park was a logical product of our democracy. In “…Children’s Faces, Looking Up,” broadcast December 25, 1936, widow Lottie Marvin is forced to stay home after the death of her husband, in order to care for her young son, severely injured in a fire. At first she debated going back to work, but when other employees of the mining office discovered she could babysit and feed their children for a small fee, she ultimately opened up a full-fledged day nursery. On Christmas Eve, she is offered her old job with more pay and weighs the heavy burden of making an important decision. When the children she took care of paid her a late-night visit singing Christmas Carols, she agrees that her self-employment is more important and counts her blessings. 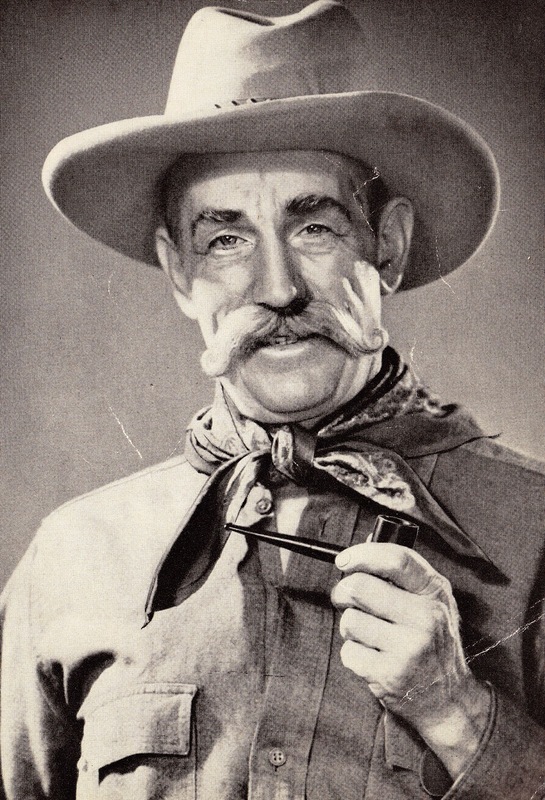 The Old Ranger invites the radio listeners to imagine opening night of “Piper’s Opera House” on the evening of December 23, 1937, which opened doros for the first time on July 2, 1863. Virginia City had more money to pay for good entertainment and actors who had avoided mining camps, offered to appear at Piper’s. Singers touring the country included Virginia City in their itinerary. Famous lecturers traveled there. The drama included excerpts from the stage productions of Uncle Tom’s Cabin, Hamlet and Rip Van Winkle, to name a few, the highlight came on December evening: the appearance of Adah Isaacs Menken in the role of the young hero in Mazeppa – the Wild Horses of Tartary… the most breath-taking experience that Piper’s ever offered. In “The Stranger Who Sang,” broadcast December 23, 1938, The Old Ranger recounts some years ago when the Furnace Creek Inn had just been built; just enough to accommodate a handful of guests. Roads through the desert were still questionable. There was no direct telephone communication to and from the Valley. It was no wonder that the little group of guests who gathered around the big stone fireplace at the Inn on that particular Christmas Eve felt drawn together by their sheer remoteness from the rest of the world. Fresh logs blazed up on the hearth, reflecting the frosty silver of desert holly, massed in bowls around the room. Stockings were hung from the mantle place for the only two children in the place. When The Old Ranger asks the children why they made the trek from Michigan to Death Valley, young Judy explains that her mother had pneumonia and the doctor said she has to be where it was warm and dry. With mother in bed resting, Judy is upset when the tradition of having “Away in a Manger” sung to her on Christmas Eve is thrwated – even though her mother said Christmas is still Christmas no matter where they are. A stranger shows up at the Inn, seeking tobacco to smoke, and hearing the children’s dilemma, sings the song. This leads to “Silent Night,” “Good King Wencelas” and “Oh, Holy Night.” The stranger takes leave of the Inn but before he goes, he thanks the children “for helping me to find again what I thought I had lost forever.” Judy asks if he is referring to his voice and the stranger replies, “Something infinitely more precious than that. Peace on earth.” The stranger was gone before any of them had time to realize that they never caught the name of the stranger. Several months later, The Old Ranger happened to pick up a copy of a San Francisco newspaper with the headline, “Singer Returns to the Concert Stage.” It read that Eric Holden, famous baritone who had not returned for over a full year since the death of his little daughter. Pacific Coast Borax obviously used Death Valley Days as a thirty-minute commercial for their vacation lodge, as well as promoting the benefits of Borax for use about the house. Christmas offered many challenges for Ruth Woodman, determined to find real stories about real people, for use on the program. But one thing was certain: Christmas was still commercial. Episode #65 "SANTA CLAUS VISITS DEATH VALLEY"
Cast: Virginia Gardiner, William Shelley, John MacBryde, John White (Curley, the guitar player), John Tucker Battle, Elsie Mae Gordon, Joseph Bell, and Vernon Radcliffe. Plot: In the mining camp of Yellowhammer, Cherokee, purchases a sealskin coat, a team and a red sleigh, along with hundreds of toys. Cherokee was a white man known for living with the Indians for a spell, and served as the civic father of the town. He left town years ago and struck gold and now wants to return to Yellowhammer for Christmas in the regalia of a fat man from the North Pole, complete with tinsel and trees… unaware that there are no women or children in town. The youngest kid in Yellowhammer packs a .45 and a safety razor. It didn’t take long for the whole town of Yellowhammer to approve of the scheme of importing a load of kids for Cherokee’s Christmas party. Everybody who knew of families with offspring within a forty-mile radius of the camp, came forward with information. But folks didn’t think kindly to the idea of parting with their children with strangers. The only child they could round up was a ten-year-old spoiled brat named Bobby who likes to smoke and speak vile words. His widowed mother has been too busy putting food on the table to take care of his table manners. Bobby won’t cooperate when the festivities start until Santa, a.k.a. Cherokee, discovers the boy recognizes him without the false Santa beard. His mother has a photo of him in her bedroom. It only takes a couple minutes for Cherokee to realize that regardless of the fact that there are no women or children about… his Christmas is best served with the family he thought he lost – Bobby is his son. Notes: This episode opens with a man and woman seeking a child for Christmas, local charity organizations, church and an orphan asylum, only to discover that the demand for youngsters at Christmas time was so much greater than the supply. This story was also written up in a book by O. Henry. The Old Ranger is also a participant in this story, which he rarely does – he’s usually just the narrator. Episode #116 "DEATH VALLEY PETE'S CHRISTMAS PARTY"
Cast: Peggy Allenby (Cecily, a young bride / Zora Sylvester); John Tucker Battle (Limpin’ Jim); Joseph Bell (Shorty Jackson / Bob, a young bridegroom / “Snake” Abercrombie); Tim Frawley (The Old Ranger); Jean King (Madge Daley); John MacBryde (Peter Lyle Abercrombie, a.k.a. Death Valley Pete, a prospector); Vernon Radcliffe (Jake Grannan / Peter Abercrombie); and John White (Limpin’ Jim, the guitar player). Plot: A gathering of the relatives of Death Valley Pete on Christmas Day, 1883. In the old mining camp of Darwin, just beyond the Panamints, Death Valley Pete is longing for his own kin… but he knows of no one alive with his own flesh and blood, named Abercrombie. Taking advice from a lawyer, he puts an ad in the newspaper. Pete struck a gold claim and made a hundred thousand dollars – and now fears that fakers from all over will stake a claim on him. But Pete wants only the legit for a Christmas dinner, completely surrounded by relatives. The folks of Darwin was a bit riled over the way Peter cold-shouldered them in favor of a herd of relatives he never so much as laid eyes on. Every guest that arrived on Christmas Eve was disreputable and when Madge Daley, Pete’s fiancée, witnesses the black sheep of the family coming off the stage and Pete asking like a real gentleman on the occasion, she agrees to his proposal. After all, a man can’t help the relatives he’s got but thank God he can pick his own wife! Episode #168 "RATES ON REQUEST"
Cast: Anthony Burger (Harry, hotel guest); Peg Allenby (Dolly, Ben's sister); Tim Frawley (The Old Ranger); Millie June (Rose, hotel guest); John McBryde (Ben Brinsmade); Charles Slattery (Dusty Miller); and Edith Spencer (Madam X, a clairvoyant). Songs: "Villikins and Dinah," "Darling Nellie Gray" and a waltz. "Camptown Races" and "Little Brown Jug" were originally proposed for use on this episode, but never used. Cast: John Battle (Pete Bradley); Tim Frawley (The Old Ranger); John McBride (Jim Tyson); Anne Elstner (Molly, Jim's wife); Charles Slattery (a New England grocer / Harry, a prospector); Edith Spencer (the Grocer's wife); John White (the singer, "Pretty Little Pink"); and Ed Whitney (Ike Jeffries / Tom, a prospector). Plot: Stuck in a snowstorm at the general store, The Old Ranger recounts an incident involving a snowstorm back in 1869. Adolph Sutro proposes to dig a tunnel through the mountain, four miles long, making working conditions in the mine at Virginia City more suitable for the local miners, who agree to invest both financially and laboriously. The Bonanza Kings won't invest, referring to the folly as "Sutro's coyote hole." Jim Tyson agrees to sponsor $100, against the wishes of his wife, Molly. In 1878, Sutra himself fired the blast that connected the tunnel with the great mines of Virginia City. On a January evening in 1895, Jim was fighting his way through the blinding snow when he arrived at the general store to discover there was no more food or supplies. The wagons could not travel to the city through the blizzard that didn't let up and increased in fury. When it occurs to Jim to use Sutro's tunnel as a means of traveling down the mountain, a few miles below the mouth of the tunnel was the town of Dayton. Molly thinks the trek is foolhardy but two days later, Jim returns with men from Dayton, carrying sacks of beans, potatoes, flour and molasses. She recalls how her husband invested $100 in the tunnel 25 years prior and admits that Adolph Sutra was a good man. Other songs heard on this program: "Girl I Left Behind" (from The Cowboy Sings), "Cowboy's Christmas Ball," "Greer County,""Little Joe, the Wrangler," and "The Great Round-Up." Episode #219 "WHILE ROME BURNS"
Cast: William Adrian (Charlie Bronson, camp citizen); Andy Donnelly (Bobby Hodge); Tim Frawley (The Old Ranger); Jean King (Mary Hodge); John McBryde (Steve Hodge); Katharine Pearson (Goldie, a dance-hall girl); Edith Spencer (Miss Ella Tripp, a spinster); and Emily Vaas (Millie Hodge). Singer: John White, sings the songs because the actor playing Charlie could not. Plot: December 23, 1923. Preparing for a Christmas party in a Nevada mining camp, Steve Hodge questions how the ceremonies have changed over the years. The Christmas celebration put on by the church always used to be a real community affair and everybody in the camp was invited. It didn’t make any difference who they were. But dance hall girls and tin horns and bartenders are no longer invited. Late that evening, a fire breaks out and several buildings catch as a result of the wind. Everything in the business section is wiped out along main Street. Every store and restaurant and rooming house – and both churches. Everything went up in smoke – Christmas trees, gifts and everything necessary for the festivities. While the dance hall puts up as many people as they can in the back room, some of the church goers resent the hospitality. Even worse, only one church remains and some won’t accept the generosity of the clergy because they were not regulars. When dance hall girl Goldie discovers that children will go without presents or Santa Claus, she orchestrates a Christmas that the families will never forget. In the little church on the hill that night, a great tree glittered. Santa Claus distributed presents to every beaming child. Even the prejudice found contentment at the organ as the crowd sang Christmas carols. 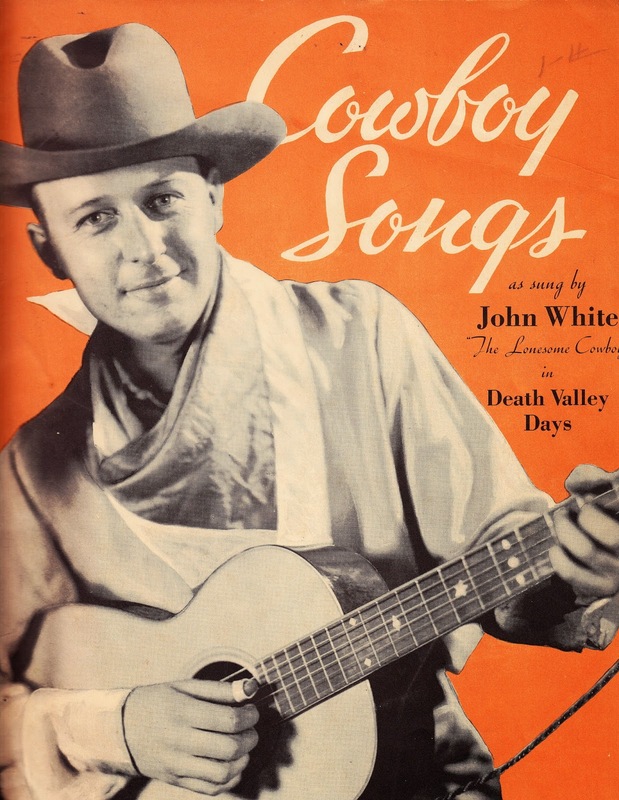 Songs: John White sings "Howdy, The Cowboy’s Christmas Ball" from The Cowboy Sings. Also featured in this episode is "Oh Come, All Ye Faithful." Episode #425 "THE STRANGER WHO SANG"
Cast: Frank Butler (Mac); Norma Chambers (hostess at Furnace Creek Inn); Jackie Grimes (Jerry); Jean King (the mother in commercial / Joan); Jack MacBryde (The Old Ranger); James Meighan (a stranger); and Betty Jean Tyler (the child in commercial / Judy). Plot: The Old Ranger recounts some years ago when the Furnace Creek Inn has just been built; just enough to accommodate a handful of guests. Roads through the desert was still questionable. There was no direct telephone communication to and from the Valley. It was no wonder that the little group of guests who gathered around the big stone fireplace at the Inn on that particular Christmas Eve felt drawn together by their sheer remoteness from the rest of the world. Fresh logs blazed up on the hearth, reflecting the frosty silver of desert holly, massed in bowls around the room. Stockings were hung from the mantle place for the only two children in the place. When The Old Ranger asks the children why they made the trek from Michigan to Death Valley, young Judy explains that her mother had pneumonia and the doctor said she has to be where it was warm and dry. With mother in bed resting, Judy is upset when the tradition of having “Away in a Manger” sung to her on Christmas Eve is thrwated – even though her mother said Christmas is still Christmas no matter where they are. A stranger shows up at the Inn, seeking tobacco to smoke, and hearing the children’s dilemma, sings the song. This leads to “Silent Night,” “Good King Wencelas” and “Oh, Holy Night.” The stranger takes leave of the Inn but before he goes, he thanks the children “for helping me to find again what I thought I had lost forever.” Judy asks if he is referring to his voice and the stranger replies, “Something infinitely more precious than that. Peace on earth.” The stranger was gone before any of them had time to realize that they never caught the name of the stranger. Several months later, The Old Ranger happened to pick up a copy of a San Francisco newspaper with the headline, “Singer Returns to the Concert Stage.” It read that Eric Holden, famous baritone who had not returned for over a full year since the death of his little daughter. Trivia, etc. Louis Polanski plays the following on the piano: “Away in a Manger,” “Silent Night” and “Good King Wencelas” (the last with vocals from the child actors). Benny Baker is the bugler. Harry Stockwell, Prince Charming himself from the motion-picture, Snow White and the Seven Dwarfs, doubled for the stranger when time came for him to break out in song. I used to know a gentleman -- now deceased -- who was an engineer in radio during its golden age. He told me once that radio show collectors tend to believe that *everything* got recorded -- usually multiple copies -- and that getting shows into circulation is just a matter of locating a set of discs. He said that, in fact, most radio shows never got recorded for the simple reason that cutting a set of transcriptions wasn't cheap. That unless you had someone who specifically wanted them and was willing to underwrite the costs, shows didn't usually get recorded. For an occasional line check, maybe. But routinely, no. Which is why, I guess, we have so little of some long-running shows like DEATH VALLEY DAYS. Best website for old time radio episode guides. Thank you for all your work.